The European Union’s competition commissioner Margrethe Vestager issued a recovery order against Amazon on Wednesday over hundreds of millions of euros in back taxes the company avoided by routing its finances through Luxembourg. Regulators claim Amazon took advantage of these tax benefits from 2006 to 2014. Vestager said this was illegal in the EU, as states can’t provide tax benefits to select international companies. The recovery order will require Amazon to pay the EU approximately 250 million euros ($294 million) in back taxes—not much more than a year after the EU ordered Apple to pay the approximately $15 billion it saved by funneling taxes through two Irish subsidiaries. Amazon kept about three billion of the euros in its Luxembourg partnership; the US has sought to recover some of those funds as well. In 2016, the Guardian reported on the complexity of the scheme, which used a number of tactics (called “Project Goldcrest”) to shift profits from various arms of Amazon’s global operations to avoid paying higher taxes. “These findings reveal that not only the multinationals like Amazon abuse the legal insufficiency of the international tax system, but that some states actively help them to do so,” former PricewaterhouseCooper auditor Antoine Deltour told the Guardian. In a statement shared with multiple outlets, Amazon said it plans to appeal. 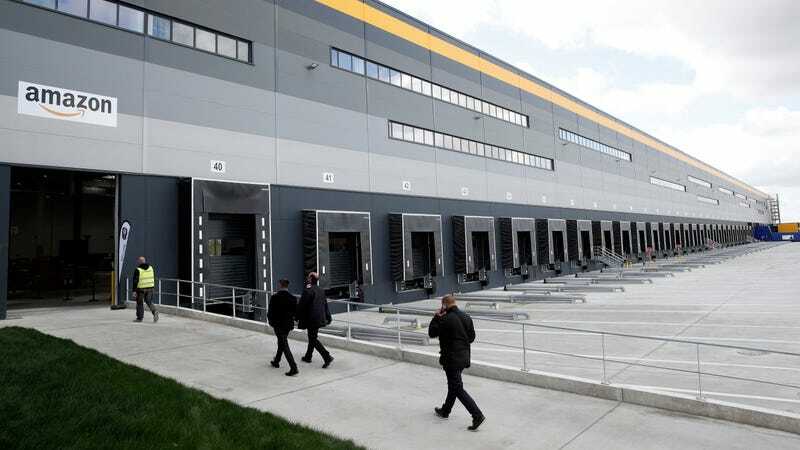 “We believe that Amazon did not receive any special treatment from Luxembourg and that we paid tax in full accordance with both Luxembourg and international tax law,” the company said. As the BBC noted, the decision may be rather uncomfortable for European Commission President Jean-Claude Juncker, who was prime minister of Luxembourg at the time the deal was struck. The finance ministers of some of Europe’s leading economies recently signed a letter to the European Commission demanding changes to the way foreign multinationals are taxed, arguing they currently escape paying huge parts of their legal tax burden.